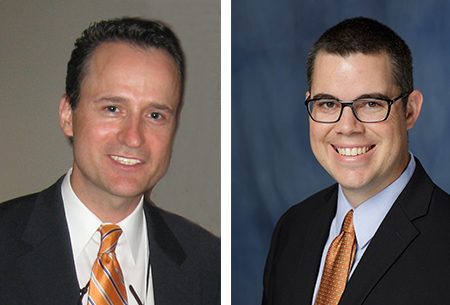 Congratulations to Sylvain Doré, PhD, FAHA and Patrick Tighe, MD, MS for receiving University Term Professorship Awards from the UF Provost’s Office! The Program recognizes and rewards significant faculty academic achievements. Awardees have distinguished careers that place them among the leaders in their discipline. Each Academic year, the University makes 250 Term Professorships available to the colleges. The awardees are determined by the dean with input from faculty advisory committees and department chairs. The professorships are available to tenure track assistant, associate, and full professors who have at least five years of service at UF.